We believe in one God, infinite Spirit, creator, and sustainer of all things, who exists eternally in three persons, God the Father, God the Son, and God the Holy Spirit. These three are one in essence but distinct in person and function. We believe that the Father is the first person of the Trinity and the source of all that God is and does. From Him the Son is eternally generated and from Them the Spirit eternally proceeds. He is the designer of creation, the speaker of revelation, the author of redemption, and the sovereign of history. We believe that the Lord Jesus Christ is the second person of the Trinity. 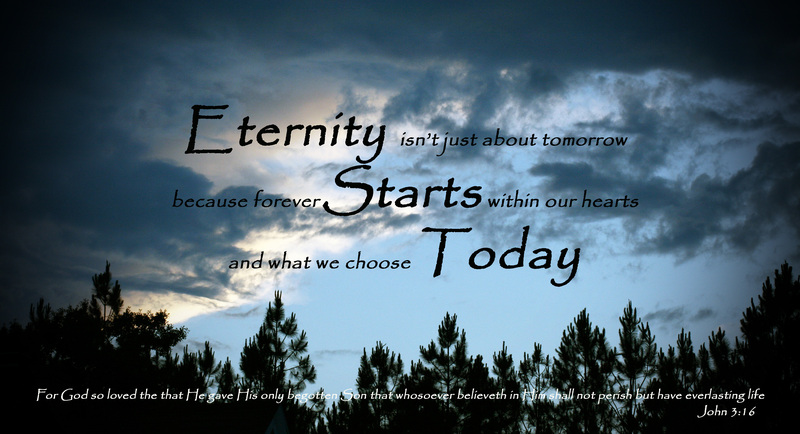 Eternally begotten from the Father, He is God. He was conceived by the virgin Mary through a miracle of the Holy Spirit. He lives forever as perfect God and perfect man: two distinct natures inseparably united in one person. We believe that the Holy Spirit is the third person of the Trinity, proceeding from the Father and Son and equal in deity. He is the giver of all life, active in the creating and ordering of the universe: He is the agent of inspiration and the new birth; He restrains sin and Satan; and He indwells and sanctifies all believers. We believe that all things were created by God. Angels were created as ministering agents, though some, under the leadership of Satan, fell from their sinless state to become agents of evil. The universe was created in six historical days and is continuously sustained by God; thus it both reflects His glory and reveals His truth. Human beings were directly created, not evolved, in the very image of God. As reasoning moral agents, they are responsible under God for understanding and governing themselves and the world. We believe that the Bible, both Old and New Testaments, though written by men, was supernaturally inspired by God so that all its words are the written true revelation of God. It is therefore inerrant in the originals and authoritative in all matters. It is to be understood by all through the illumination of the Holy Spirit, its meaning determined by the historical, grammatical, and literary use of the author’s language, comparing Scripture with Scripture. We believe that Adam, the first man, willfully disobeyed God, bringing sin and death into the world. As a result, all persons are sinners from conception, which is evidenced in their willful acts of sin; and they are therefore subject to eternal punishment, under the just condemnation of a holy God. We believe that Jesus Christ offered Himself as a sacrifice by the appointment of the Father. He fulfilled the demands of God by His obedient life, died on the cross in full substitution and payment for the sins of all, was buried, and on the third day, He arose physically from the dead and ascended into Heaven where He now intercedes for all believers. We believe that each person can be saved only through the work of Jesus Christ, through repentance of sin and by faith alone in Him as Savior. The believer is declared righteous, born again by the Holy Spirit, turned from sin, and assured of heaven. We believe that the Holy Spirit indwells all who are born again, conforming them to the likeness of Jesus Christ. This is a process completed only in Heaven. Every believer is responsible to live in obedience to the Word of God in separation from sin. We believe that a church is a local assembly of baptized believers, under the discipline of the Word of God and the lordship of Christ, organized to carry out the commission to evangelize, to teach, and to administer the ordinances of believer’s baptism and the Lord’s table. Its offices are pastors and deacons and it is self-governing. It functions through the ministry of gifts given by the Holy Spirit to each believer. We believe that the return of Christ for all believers is imminent. It will be followed by seven years of great tribulation and then the coming of Christ to establish His earthly kingdom for a thousand years. The unsaved will then be raised and judged according to their works and separated forever from God in hell. The saved, having been raised, will live forever in heaven in fellowship with God. If you prayed this prayer congratulations, you are a Child of God now and your sins have been forgiven, never to be remembered. We encourage you , if you do not already attend a church, to find one that believes in Bible study. One that teaches the whole Word of God and proclaims the Good News that Salvation is available to all. We encourage you to get a Bible and begin reading it. If you don’t know where to start we suggest you read the Gospel of John first but you can find many Bible study reading lists online also.